Lugansk State Medical University named after Saint Luke, Health Ministry of Lugansk People's Republic. 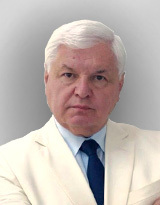 Simrok Vasiliy Vasilievich – MD, Professor, Head of Department of Obstetrics and Gynecology. ul. 50-letiya Oborony Luganska, 1, Lugansk, 91045.